I would call this Shankar Mukherjee film a serious washout if not for the gripping last hour. Mahal, like its earlier cousin, turns out to quite a thrilling venture thanks to the taut storyline and the unconventional execution. What appears to be a run-of-the-mill trying-to-be-clever noir mystery, actually unravels as a innovative entertainer. I admit that Dev Anand is past his prime and tries his mannerisms a bit too much, Asha Parekh hardly gets a meaty role, and the character actors are too scattered in their job, but overall I found the film picking up pace towards the end. And trust me, if it would not have been worth it, I wouldn't have been writing this post. For, I wouldn't have spent time completing the film. Yes, I did want to know who actually commits the murders in Mahal. This is after Rajesh (Dev Anand) is embroiled in a sticky plot of mistaken identities and murder and he has to labour hard to vindicate himself of the accusations. The film starts off in a light vein, where we get to discover that Rajesh has a knack for gambling but never really does it because it is not required. He works as a driver for a wealthy man called Shyam babu (played by Abhi Bhattacharya), and is soon asked to take a letter to Roopa (Asha Parekh). Abhi is supposed to marry Roopa and has been invited for dinner by Roopa's father (David). But due to some urgent work, Abhi excuses himself from the invitation. This letter of excuse is to be delivered to Roopa by Rajesh. Back in Roopa's house, David tells his daughter that her marriage has been fixed but Roopa balks at the idea. She is a modern girl who would like to marry for love and would love to decide for herself who she would like to marry. She plans to outwit the gentleman who is coming for dinner. But soon, as the story unfolds, the tables are turned on her and she has to bite dust. 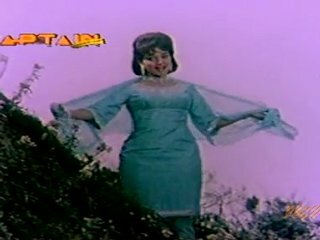 By the end of Yeh duniya waley poochengey (music by Kalyanji Anandji is just about okay), she is more than smitten with the smart Rajesh. Several things happen before a lucrative offer is made to Rajesh. As the man requires quite some money suddenly, he walks into the bait laid down by a local crook. The baddie tells him that he has to fill in for a missing brother-in-law of a rich man living in a mansion in the hills. He lends Rajesh Rs 35,000 in return of the favour. Little does Rajesh know that he is stepping into quicksand. What follows are weird incidents, mysterious happening and a gruesome murder in cold blood that Rajesh is implicated for. While he cries hoarse that he is not the killer, the law is not ready to listen to him. They hound him down like sniffer dogs. The only person who believes him is his sister. Even his brother-in-law wants him behind bars. Understandably, Rajesh is caught in a web of deceit and falsities, from which only he can bring himself out. There is also the befuddling case of the nurse (Farida Jalal) who even tries to seduce him. Who are these people and why are they all trying to finish Rajesh? Though Mahal takes some time to pick up pace, when it does the script is quite tight. Some scenes could have been done away with and some comic scenes are absolutely unnecessary. There are times when I find some songs eating into the pace. But then, the end is worth waiting for. 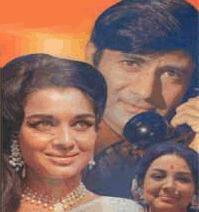 Dev Anand is suave and smart in the film, but only too gimmicky with his antics. But given the action and the incidents, he does do a good job. He is also quite funny in the scenes where he tries to pull tricks off Roopa. He makes a good pair with Asha Parekh and it is but obvious that after Jewel Thief and Johny Mera Naam, he is absolutely at ease playing lead roles in thrillers. I rewatched this one just a couple of weeks ago (I'd seen it back when I was a kid), and thought the first half could've been better edited - it took a long time to get to the point, and the romance was too long-drawn out. 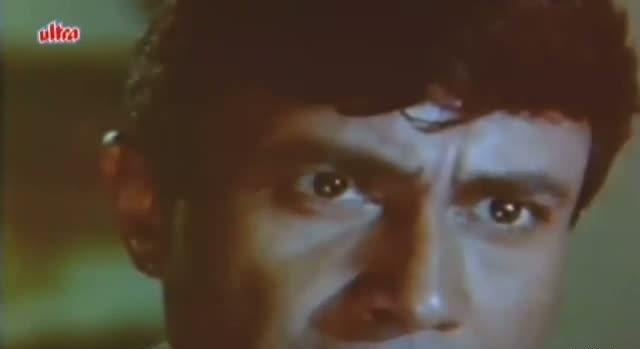 But from the moment it's revealed that the old man who's been murdered is not the old man Dev Anand's character thought he was... well, after that it's a really suspenseful film! And I loved the way (nearly) everything ties up so beautifully at the end. All the pieces fall in place. @Dustedoff: Exactly. The end is worth sitting through the entire film. I haven't seen *this* Mahal,but I'm soon going to put that right. I love suspense, and since both of you find the suspense good I think it's worth it. Thanks for bringing this to light Sharmi. @Sharmi: Nice review. I have been looking for a DVD of this film but haven't been able to find one. I don't settle for youtube to watch movies, though I watch songs :) I will catch up with Mahal soon. @Roshmi: I think you will like it.